The patent — which ensures the design for the Apple Watch cannot be copied by a competitor — was filed in August of last year, just weeks ahead of its unveiling. 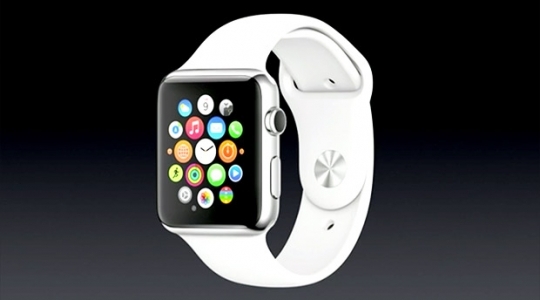 The Apple Watch’s design is now officially protected by the US Patent and Trademark Office. The USPTO on Tuesday issued a design patent on the Apple Watch look and feel. The design patent filing provides precious little information, but includes several sketches showing the device from all angles, including from the top, side and underneath the face where the sensor and charging apparatus sit. Getting a design patent is an important step in protecting an invention. Apple’s newly delivered patent means other companies cannot copy the design of its wearable. It doesn’t, however, prevent other companies from delivering products that are similar, but not identical in design. The Apple Watch, which requires an iPhone 5 or later to run basic apps and receive notifications, is Apple’s first foray into the wearables space, and a pricey one at that. It tops out at $17,000 for the 18-karat gold edition, with more modestly priced options like the Apple Watch Sport, which starts at $349. The smartwatch market had been ticking quietly for several years, with occasional flutters on rumors of an impending watch from Apple. The Apple Watch went on sale last month, and analysts have contended that it is the spark that the market has been waiting for. Competitors include a range of new or updated smartwatches from companies including Sony, Samsung, Huawei, Motorola, LG and Pebble. The Apple Watch’s health-tracking capabilities also mean that consumers will be weighing it against fitness bands from the likes of Fitbit and Microsoft. Unlike with iPhone launches, Apple has not yet disclosed initial sales figures. The smartwatch has been back-ordered since presales started April 10, and many would-be buyers won’t receive their Apple Watches until June or even July. It’s unclear how much of the delay is due to the strength of the demand and how much is because of supply shortages and manufacturing issues. Apple Watch’s design has been generally viewed positively, with CNET’s Reviews team saying it’s “the most ambitious, well-constructed smartwatch ever seen.” Like most smartwatches, the Apple Watch comes with a rectangular touchscreen and is offered in three flavors — a low-cost Sport model, the standard model, and a gold-plated Edition version. Since the basic design and form factor are identical across the product line, the design patent covers all versions. According to the design patent documentation, Apple’s intellectual property is good for 14 years.